We have had beautiful fall weather and Tom and Daddy have their work well in hand. It is quite cold to-day but the sun is shining and we have had no snow. 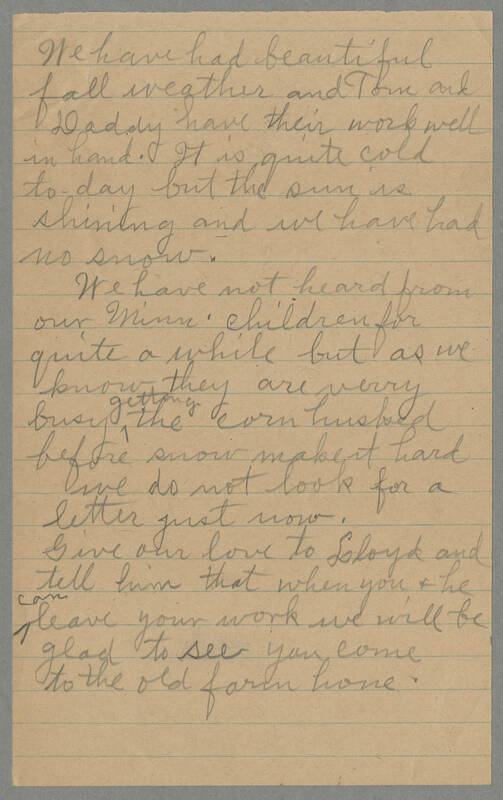 We have not heard from our Minn. children for quite a while but as we know they are verry busy getting the corn husked before snow make it hard we do not look for a letter just now. Give our love to Lloyd and tell him that when you, & he can leave your work we will be glad to see you come to the old farm home.